Announcing Engine’s Diversifying Tech Caucus! 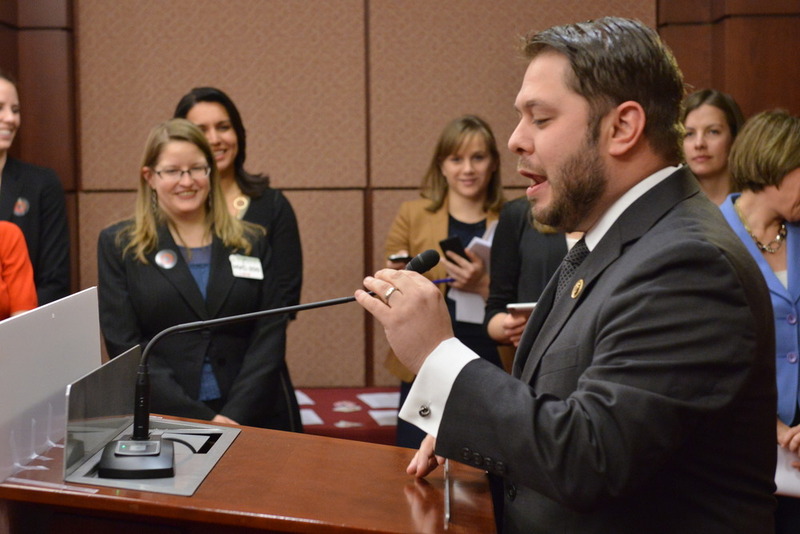 Yesterday, we were on Capitol Hill to launch our new Diversifying Tech Caucus. We’re excited to work with our Congressional Co-chairs—Senators Amy Klobuchar (D-MN), Shelley Moore Capito (R-WV) and Tim Scott (R-SC), and Representatives Cathy McMorris Rodgers (R-WA), Barbara Comstock (R-VA), Tulsi Gabbard (D-HI), Robin Kelly (D-IL) and Ruben Gallego (D-AZ)— to increase representation of women, minorities, and veterans in the tech sector, and the ability of these groups to access the good jobs that this industry creates. Lack of diversity in tech is a well-documented and serious problem. Right now only one in 14 technical employees in Silicon Valley is African-American or Hispanic. Women currently represent fewer than 13 percent of employed engineers and hold fewer than 25 percent of STEM jobs. And just three percent of all startups are founded by women. Congress can play a unique role in calling attention to these challenges, highlighting existing best practices, driving a public conversation, and designing policy initiatives that support and promote diversity. The Diversifying Tech Caucus will be a true partnership between policy makers, industry, and academia to organize, advocate, and create awareness about underrepresented groups and develop strategies for improving access and engagement. Industry and academic leaders will also work together to undertake extensive new research that legislators can use to elevate the issue and help develop meaningful solutions. Lack of diversity in the tech industry is a complicated problem, one without a single, easy fix. But we are confident that when you get smart people from different walks of life with different sets of tools around a table, you can take great strides toward making it better. We have lots of work to do and can’t wait to get started.